Working as a member of the Ole Miss Student Union team, the Ole Miss Student Union Facilities and Student Activities graduate assistants work to provide direction for student learning and academic success while assisting with the coordination of the advisory, supervisory, programmatic, operational, and administrative facets of the Ole Miss Student Union. The graduate assistant for Student Activities is a two-year assistantship. The incumbent will assist with campus-wide programming, student leadership training, assist the department in administering and reporting program or departmental assessments, and general office operation. The graduate assistant will have the opportunity to work directly with the Student Activities Association and Ole Miss Big Event, student leaders and University administrators to continue to improve the quality and quantity of student activities and programming on campus. The graduate assistant for Facilities is a two-year assistantship. 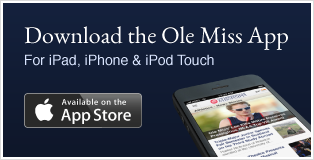 The incumbent will assist with the operation and management of the Ole Miss Student Union. The graduate assistant will work directly with the supervisor and student employees in areas such as advising and management as well as leadership development. The graduate assistant will also be involved in special projects in regards to building operations, become familiar with operating procedures, assist the department in administering and reporting program or departmental assessments, general office operations, and work closely managing the facility.